The term was used often to describe rival Italian and French cruisers of the interwar, sacrificing all for speed. 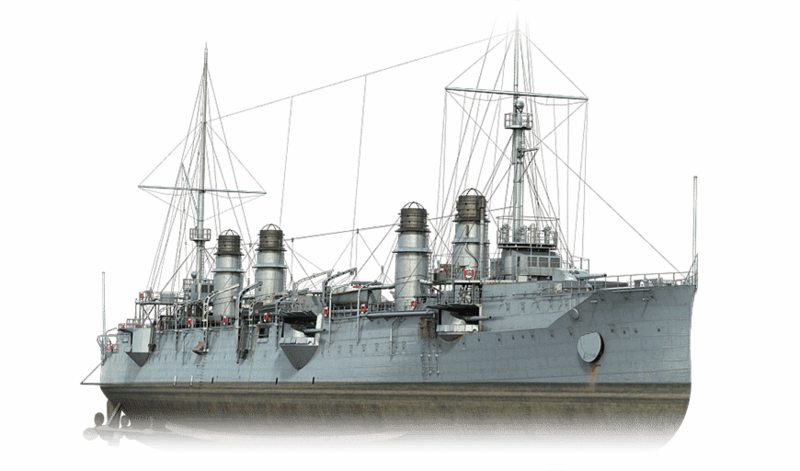 But the French cruiser Jurien de la Gravière twenty years before was at the same time the last French “protected” cruiser and one of the thinnest built. The cruiser was named after Edmond Jurien de la Gravière (and his father, Pierre Roch), an admiral who served through the Revolutionary and Napoleonic wars. Construction started on November 15, 1897 at Lorient, launching occurred on June 26, 1899, but commission was reported to 1903, as sea trials dragged over a year due to construction errors that had to be fixed in turn. The hull of the ship was narrow, nearly 1/10, and the bow had as short ram while the stem was pinted. The overall waterline was very thin and narrow. 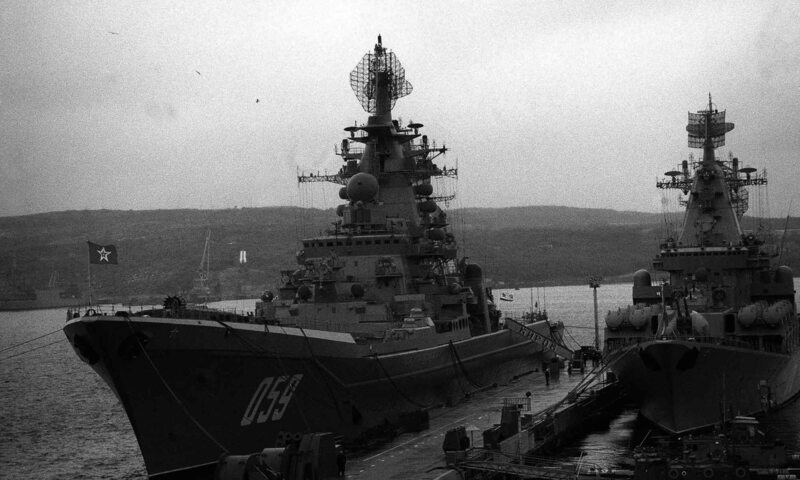 She was given four funnels far apart to serve the twenty-four boilers and two small military masts. The main artillery comprised eight Modèle 1893 164.7 mm guns, of which two were in shielded centerline mounts fore and aft, the remaining six in sides casemate mounts. The rest of light artillery model 1884 and 1885 was placed in various spots to hit incoming TBs. The 457 mm (18 in) torpedo tubes were submerged. Armour was as follows: The deck was protected by 35–55 mm (1–2 in) with 55–65 mm (2–3 in) slopes, the Conning tower was 100 mm (4 in) thick, the Gun shields were 70 mm (3 in) and casemates: 45 mm (2 in) and ammunition tubes 45 mm (2 in). 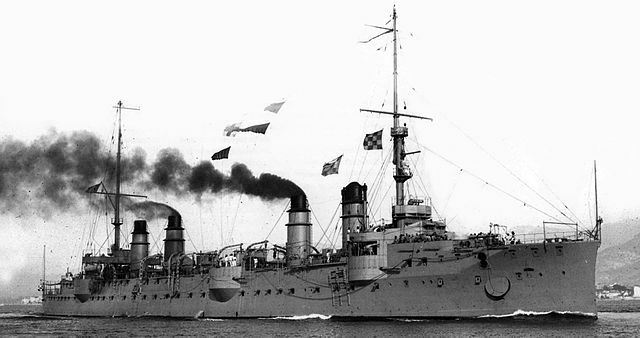 Completed in 1903, the Jurien de la Gravière was the last of the so-called “protected” cruisers of the French navy. It was narrower and lighter than the previous ones, though fairly close in design to the Guichen. 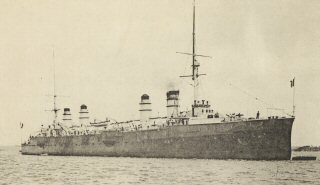 Construction was too light, vibrations and not very manoeuvrable, and during the Great War he served, and on August 16, 1914, participated in the hunting of the Austro-Hungarian destroyer Ulan. In 1916 she was assigned to Admiral Boué de lapeyrère’s squadron during naval operations on the southern coast of Turkey, bombing enemy positions, then blockading Greece until 1917 before finishing in Syria. She was removed from the lists in 1922.